Tonight we held our first family NFL draft. Between the 7 pm start and the homework that had to get done, we had zero time to dawdle over dinner. 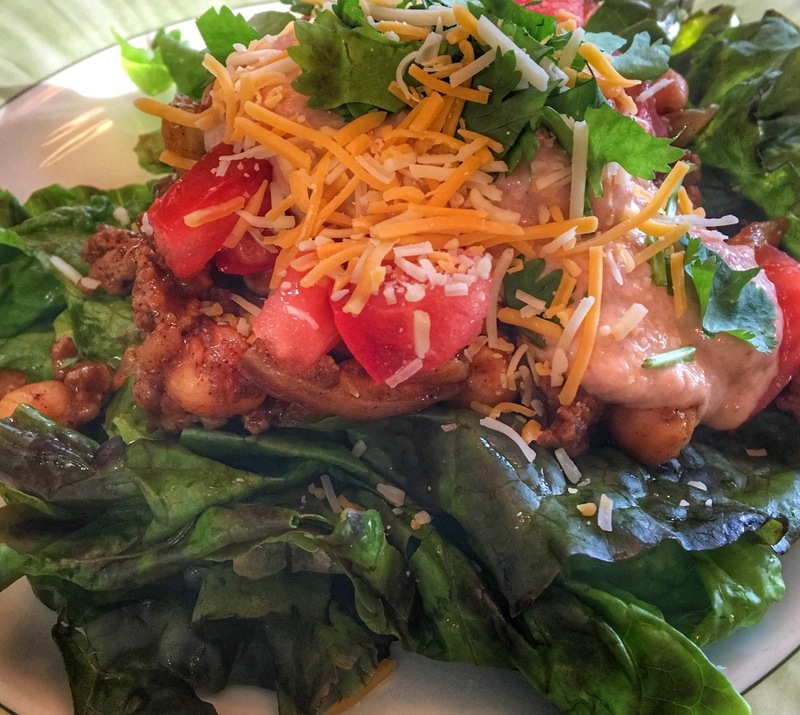 10-Minute Taco Salad for the win! While the rest of my fam eats this in taco shells/boats/with a side of chips, I enjoy mine over a bed of red leaf lettuce with fresh tomatoes and cilantro. Oh, and the sauce is ridiculous! Enjoy. Brown meat and onions together. Add garbanzo beans, undrained. Add taco mix and simmer on low. Prep the sauce by mixing 7 oz Fage 2% plain Greek yogurt with 3 tablespoons chili sauce, 1 minced jalapeño pepper, and 1/4th tsp garlic powder. Serve over freshly torn lettuce leaves. Garnish with chopped tomatoes, cilantro, and 1 tbsp shredded cheese. MFP entry: 10-Minute Taco Salad, 1/2 cup serving, 250 cals; 10-Minute Taco Salad Sauce, 2 tbsp serving, 36 cals. Be sure to log your garnish/toppings as they are not included in these MFP entries.